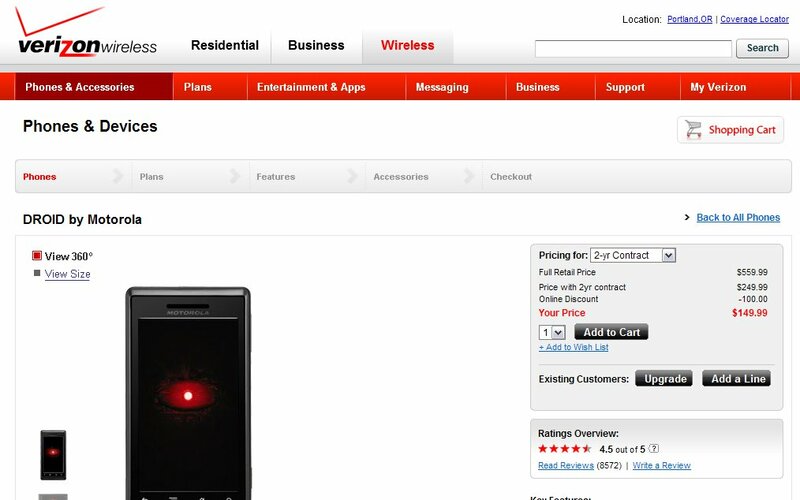 Seven months later and Verizon finally drops the price of the Motorola Droid to $149.99 on contract. Does this mean that the Droid X (Xtreme) or Droid 2 are ready to be announced? We’ve talked about a possible Father’s Day release, but figured July seemed more likely after hearing new hints from our sources. And since the Xtreme has been leaking out for some time now, and we were the first to show you the Droid 2 only yesterday, I would bet that the we’ll see the newly named “Droid X” within a few weeks.